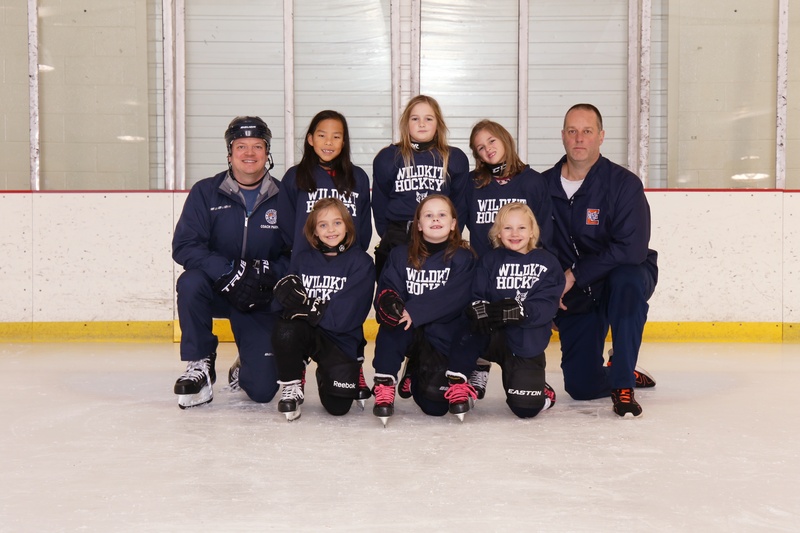 The Evanston Hockey 8U (Mite) house program serves players who are interested in playing on a team, and typically want to play on weekends. The house league emphasizes skill development and fun with volunteer coaches, typically parents. (Click here to confirm your child's level by birth year.). 8U (Mites) have in-house games against other Evanston Hockey 8U house teams. House hockey practices and in-house games are 1 hour each per week, typically on the weekend. For house and travel, there is a fall/winter season (typically September-March) and a spring season (typically March-May). Conditioning for travel for the fall/winter season begins in August; tryouts begin in early September. House hockey for the fall/winter season starts in September. House and travel typically have a two-week break during the winter holidays. If you would like to be added to our mailing list to find out when registration opens, please email wildkitshockey@gmail.com. Evanston Hockey works hard to keep season fees steady. Hockey fees are announced in advance of sign-ups with discounts available for goalies and multiple siblings. On average, 8U house hockey costs $800. Discounts are available for goalies and multiple siblings. Financial aid is available for those who demonstrate need. The dues adjustment form can be found on the website. It should be completed and forwarded to the . The Evanston Hockey Finance Committee will consider all requests. If you have any questions about the Evanston Hockey house program, please email House Director Pat Brownlee at .